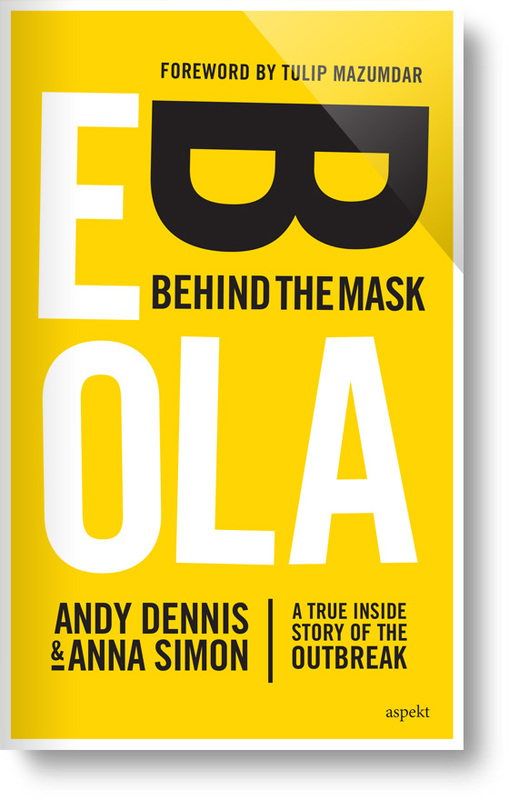 In this book, Andy and Anna describe their experiences in the Ebola crisis up close and personal. From the decision to commit to a mission, the training with MSF in Amsterdam, the journey to Kailahun, and most importantly, the work in the Ebola Management Centre. Andy is an English nurse, working in the NHS at Harrogate District Hospital. He had been on three previous missions with MSF in Africa. “But this was by far the most extreme situation I have ever faced”. Anna, a Dutch medical doctor from the Radboud University Medical Center in Nijmegen, the Netherlands, on the other hand had never even visited Africa before. The authors responded to MSF’s call for volunteers, and left behind their regular jobs for two months to work in an Ebola Management Centre in the remote province of Kailahun in Sierra Leone. Working alongside dozens of men and women from Sierra Leone, they cared for more than 150 patients with Ebola. These patients were more than a mere statistic; all have their own story. This is life and death, the true inside story of the outbreak. 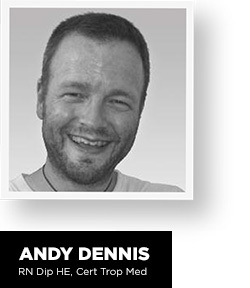 Andy Dennis has been a qualified nurse since 1995, prior to which he was a Royal Air Force Medical Assistant. He left the RAF in 1991 after the first Gulf War having decided that if he were to be in conflict situations again it was going to be in a humanitarian rather than a military role. Andy has spent most of his career as a nurse working in the National Health Service, predominantly in critical care areas such as Emergency Departments and Intensive Care. In 2004 he watched the global response to the Asian Tsunami. He “stood in awe” of one particular organisation and by June 2005 was working as a nurse with Doctors Without Borders. This first mission was in Northern Uganda caring for people displaced by conflict with the Lord’s Resistance Army (LRA). He has subsequently worked in South Sudan on two occasions. In 2008 Andy was in Yambio near the South Sudan border with the Democratic Republic of Congo where he was helping to set up Primary Health Care Clinics in two remote areas. This mission was also affected by violence perpetrated by the LRA; indeed, two people were killed in an attack on one of the clinics in late 2008. In 2013 he ran the nutrition programme at Leer Hospital in the North of the country. This Hospital had stood for 25 years, before its destruction a matter of weeks after he left in January 2014. Taking part in the Ebola response in Sierra Leone was Andy’s fourth mission and he states “by far the most emotionally testing”. Andy now works in the Endoscopy Department at Harrogate District Hospital in North Yorkshire. 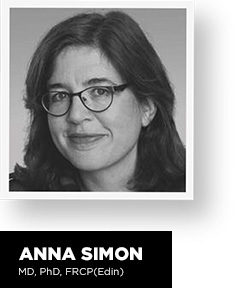 Anna Simon is a consultant in internal medicine and infectious diseases. She works in a university hospital in Nijmegen, The Netherlands, combining patient care with scientific research and teaching. Anna’s specialist subject is very rare hereditary disorders in the immunological field. She lived and worked in the USA for two years doing post-doctoral research in 2006-2007 but had never worked in patient care outside of The Netherlands. At the beginning of October 2014, Anna responded to MSF’s call for doctors and nurses to volunteer to work in the Ebola epidemic, which made headlines in The Netherlands.